At 2 a.m. on Sunday, March 10, 2019, we are turning our clocks forward to 3:00 a.m. 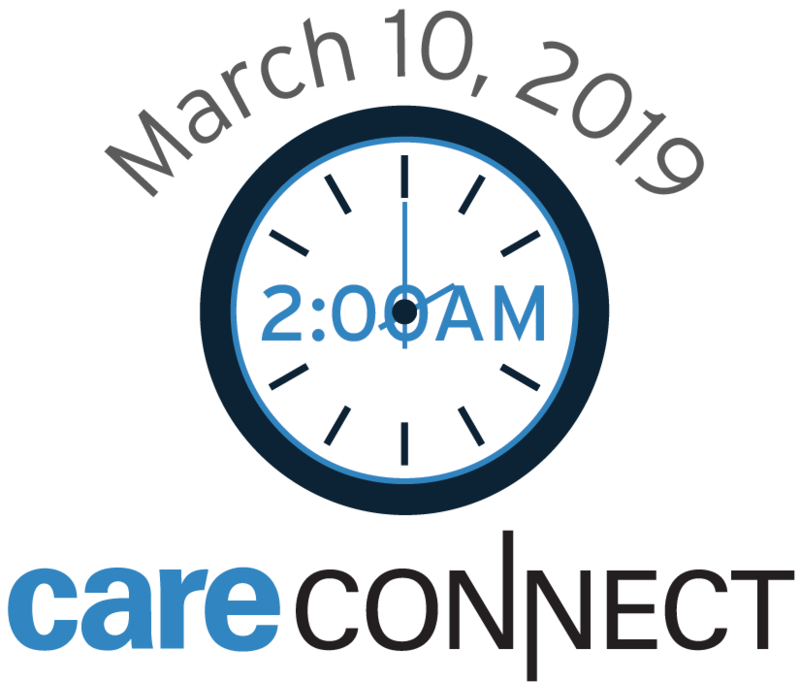 When the time changes at 2 a.m. early Sunday morning, CareConnect will automatically switch to 3 a.m. and remain unaffected during this transition. Data pulled into flowsheets from monitors will display the correct time from CareConnect. Some changes in how we document in CareConnect are needed to accommodate the skipped hour from 2 a.m. to 2:59 a.m. Please refer to the documentation of impacts for affected areas and workflows listed below. Please direct questions to Yvonne Mugford, MSN, RN, Nurse Informaticist. If you need assistance during the time change, please contact Customer Care at 310-267-CARE (2273). Specialists are available 24/7 to provide support.